Her Royal Highness The Duchess of Cornwall visited Lambeth’s GP Food Co-op Garden yesterday (7 February) to celebrate its 6th birthday and successes in supporting local patients through gardening. The group of clinicians and patients are growing food for the community at hospital sites and GP practices across the borough, to support patients with long term health conditions as part of the NHS social prescribing initiative. Initiative in the NHS and Her Royal Highness’ visit will recognise the positive contributions that the garden has made to the health of local people living with long term conditions as well as the sustainability of the health and social care system. The Lambeth GP Food Co-op is a community led health cooperative run by doctors, nurses and Lambeth residents, who grow food together. Since 2013 they have built gardens in GP surgeries across London, designed to help patients with long term health conditions as part of the NHS social prescribing initiative. Growing evidence shows that referrals to community services such as exercise or art classes, history groups and even ballroom dancing can boost health and wellbeing more than medication. The NHS Long Term Plan will see GPs surgeries big and small will work to support each other in around 1,400 Primary Care Networks covering the country. The Garden at Swann Mews was launched in June 2018 by the Lambeth GP Food Co-op in partnership with Grantham Surgery and Hyde Housing who made the land available. Patients from Grantham surgery have been actively involved in growing vegetables at the garden. This is the second garden which Lambeth GP food co-op has launched in Stockwell, the first being opened in March 2017 as part of their contribution to encouraging gardening for health in the NHS. The Lambeth GP Food co-op is a community led health cooperative run by doctors, nurses, Lambeth residents, who grow food together. Since 2013 they have built gardens in more than three GP surgeries – designed to help patient with long term health conditions. The Lambeth GP Food Co-operative was launched in 2013 at Brockwell Park surgery, south London. With £160,000 in funding from the clinical commissioning group (CCG) and Lambeth council, 11 GP surgeries across the borough have turned unused outdoor space into gardens for patients to grow fruit and vegetables. GPs and nurses refer patients who are lonely and socially isolated, have a long-term condition and/or have mental health problems. 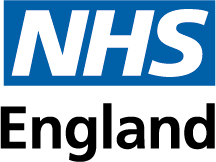 Personalised Care is one of the five major, practical changes to the NHS that will take place over the next five years, as set out in the NHS Long Term Plan. The publication of Universal Personalised Care has been co-produced with people with lived experience of receiving health and care services, and in partnership over 20 leading health and care organisations.